Welcome to a new site dedicated to Queen Victoria’s family and other royalties of the era. 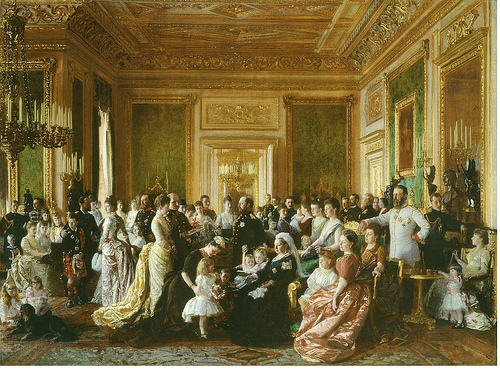 By 1914, Queen Victoria’s children and grandchildren occupied the Courts of Britain, Germany, Russia, Greece, Spain, Norway, Sweden, Denmark & Roumania and it seemed that Prince Albert’s dream of maintaining peace through family ties had been achieved…and yet, little more than a decade after the Queen’s death, the family would be torn apart by one of the bloodiest conflicts in history. This site aims to present information, books and links about the Queen’s family and the truth about what led to the tragic demise of so many Royal Houses in 1918.